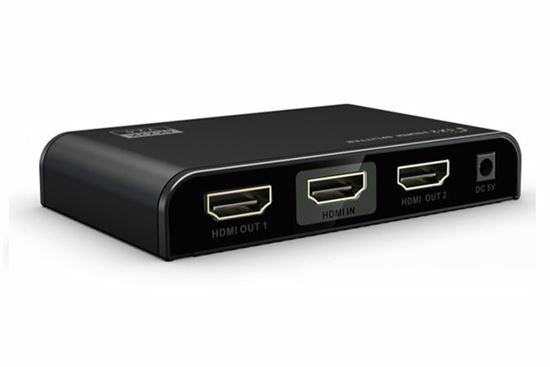 This HDMI splitter distributes 1x HDMI signal from STB, DVD Blu-ray players or PS3 etc. to 2x identical HDMI signals to connect to projector, DLP, LCD or other HD displays simultaneously. It supports resolutions up to 4K@60Hz and HDCP2.2. It's compatible with HDMI 3D. 3D support: If both HDMI source and HDMI displays support 3D, this splitter can detect the EDID automatically and support 3D output.